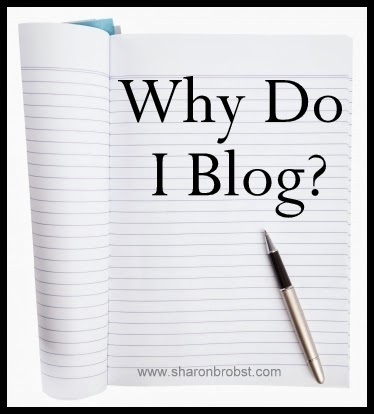 Everlasting Joy: Why Do I Blog? For years now I have been in the habit of writing in a journal. Then about 5 or 6 years ago I began writing my thoughts, impressions, things God has taught me and sending them to a few close friends. They kept telling me I should try blogging and then allow the women in our church has access to it. The idea was to allow others to know my heart. As a Women's Ministry Coordinator it's important for me to allow myself to be real, open, and let other's know me. I do this best in written form. So I began my blog. There are so many hurting women. I don't have all the answers, but I know the One who does. I know how He has gotten me through fires without getting burned and floods without drowning. I share my experiences, my journey, and my reflections on life then just let God use it as he wills. We all are on a journey, I pray that as I reflection upon mine and openly share it with you that honor and glory will be given to my Father in Heaven.